As the domestic market eagerly awaits the introduction of the Renewable Heat Incentive (RHI) for householders, many are unaware that there is financial assistance available right now for renewable heat technologies in the form of the Renewable Heat Premium Payment scheme (RHPP). The RHPP is designed to bridge the gap until the RHI kicks in for householders, offering a one off grant to help with the cost of installing renewable heat generating technologies. If you are unclear on what exactly the RHPP is all about, or how it works, this introduction is designed to give you some basic information on the grant, including how much you could get and how to apply for it. This one off grant is targeted at domestic householders who wish to install renewable heat technologies. The government has acknowledged that the costs of installing heat generating renewable energy technologies can sometimes be prohibitive, and whilst the forthcoming RHI is designed to add a financial incentive to the investment. The Renewable Heat Premium Payment Scheme has been put in place in the meantime and can help people get started sooner with their installations. What is covered by the RHPP? At this time, air to air and exhaust air heat pumps are not supported. Wood burning stoves without any capability of heating water as well as multi fuel room heaters are also excluded from the RHPP. How long is it available for? This phase of the Renewable Heat Premium Payment Scheme is scheduled to run from April 2013 up until the end of March 2014 subject to funding being available. The scheme has a fixed budget, so householders are encouraged to apply sooner rather than later to ensure they are allocated their grant. The scheme is open to residents in England, Wales and Scotland who have not previously applied under the RHPP phase 1 scheme. It is possible to apply for a grant retrospectively, but the installation must not have been commissioned before 21st July 2011. If you have mains gas heating in your home, or have recently removed your mains gas heating, then you are only eligible to apply for solar thermal. Properties ‘off gas’ which are heated with electricity, oil, bottled gas or solid fuel are also eligible to apply for biomass or heat pump technologies. Isn’t it better to wait for the RHI? In short, no. The RHI is probably launching in 2014, but has already been put back several times, so it’s best not to count on this. Householders taking advantage of the RHPP scheme will not be losing out on anything, as they will still be eligible for ongoing payments via the RHI when it launches, less the amount of grant they received under the RHPP. 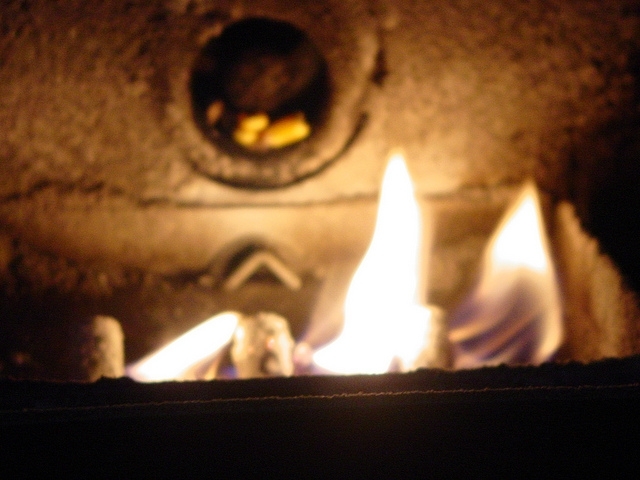 Taking into account the benefits of renewable heat over the coming winter, the best strategy is certainly to take advantage of this grant sooner rather than later, and to also apply for the RHI once the scheme goes live. This entry was posted in Biomass, Grants / Funding, Renewable Heat. Bookmark the permalink.